Update your classic pearl drops with this moodier, dark pair. 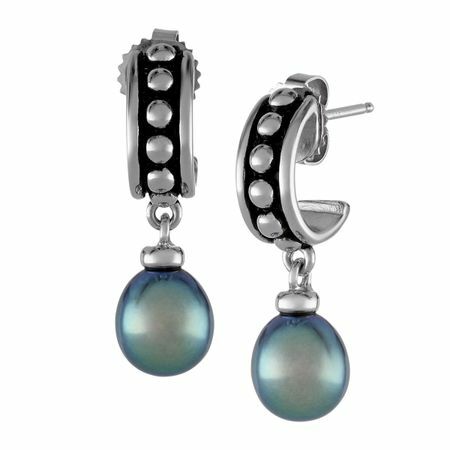 Perfect for an evening out, these earrings feature 8-8.5 mm black freshwater pearls in a setting of sterling silver with oxidized touches. Pieces measure 1 1/16 by 5/16 inches.